GREENSBORO, NC – After posting 40 wins for the 39th consecutive season and making its NCAA record 15th appearance in the Super Regionals, the Florida State baseball team placed four of its student-athletes—Ben DeLuzio, Chase Haney, Drew Carlton and Mike Compton—on the 2016 All-ACC Academic Team that was released on Friday. DeLuzio, a three-time All-ACC Academic honoree, finished with a .237 batting average after recording 12 doubles and two triples among his 47 hits on the season. The junior speedster also swiped a team-high 15 stolen bases, including two in back-to-back games against UCF (March 22-23) and a pair against College World Series participant Texas Tech (April 5). An economics major from Windermere, Fla., DeLuzio also earned a spot on the Florida State Dean’s List in both fall 2015 and spring 2016 semesters with a 3.50 GPA. Haney posted a perfect 5-0 record in his freshman season after making 31 appearances out of the bullpen. Four of those victories came against ACC opponents including Georgia Tech (March 12), Notre Dame (April 22; April 23) and NC State (May 25). He was one of five pitchers on staff with at least five wins, logging 32.1 innings, allowing 29 hits, 10 earned runs and converting 37 strikeouts. A native of Winter Garden, Fla., and business management major, Haney finished with a 3.375 GPA and was named to the Dean’s List in fall 2015. Carlton anchored the pitching staff with an 8-3 record and capped off his sophomore campaign with 76 strikeouts and a 3.94 ERA over 93.2 innings. 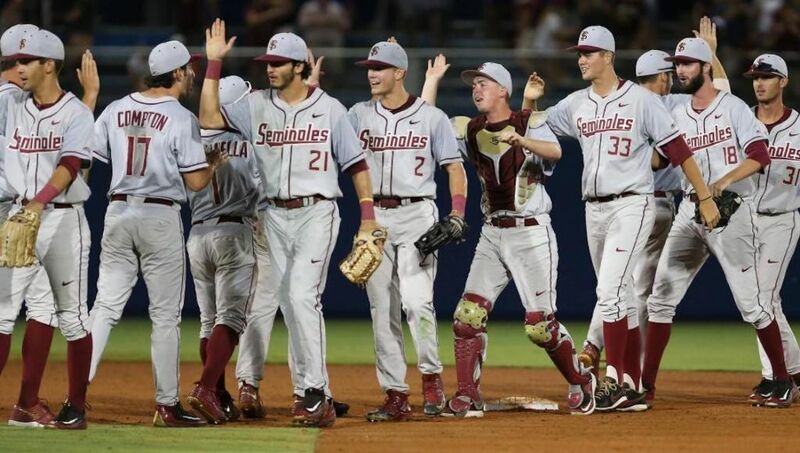 Carlton, who ascended to the primary starting role over the final month of the season, grabbed his last victory of the season as he tossed a complete game 3-0 shutout against Florida on June 11 in the NCAA Super Regional in Gainesville. In that game Carlton retired the final 19 Gator hitters as Florida State blanked its in-state rivals for the first time since March 11, 1995. The Lakeland, Fla., native is an economics major who finished with a 3.125 GPA in the spring 2016 semester. Compton, a three-time All-ACC Academic honoree, ended his redshirt senior season with a 5-3 record and 32 strikeouts in 60.1 innings. It is the second academic award this season for Compton, who earned CoSIDA Academic All-District honors in May. Compton, who is in the process of completing his master’s degree in marketing, earned his bachelor’s degree in applied economics in the fall of 2014. The Branson, Mo., native capped off his Florida State career with 216 strikeouts, which places him 28th on Florida State’s all-time list, and a 28-12 record with a 3.53 ERA. His best performance of 2016 came against Boston College where he limited the Eagles to three hits and three walks over five innings on the mound.